As you probably already know, Dr Seuss’s birthday was earlier this week. I love Dr Seuss and am so excited to share his books with my son since they were a fun childhood memory for me. 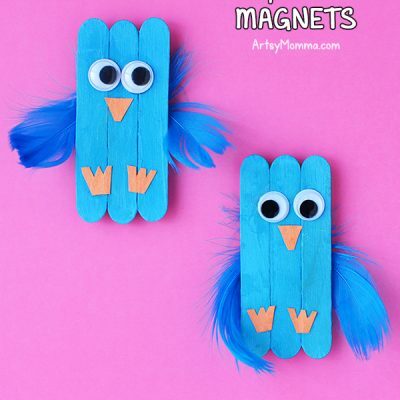 I plan to do a couple different Dr Seuss crafts with the corresponding book throughout the month. 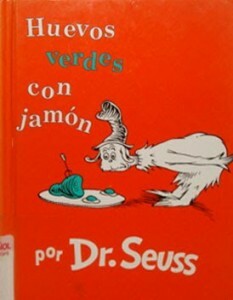 To start off with, I chose Green Eggs and Ham but could only find the Spanish version at our library~ Huevos verdes con jamon (hubby read it to him). Thanks to The Activity Mom’s post the other day, I was able to watch a short video of the book with my son. He thought the video was hilarious~ especially the end! He is so into matching everything, so we paged along with the Spanish version of the book while watching the video. 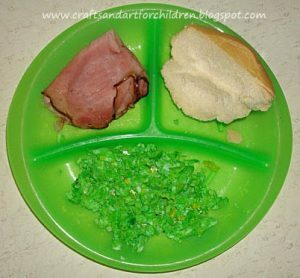 I printed this Green Eggs and Ham placemat I found HERE for my son to color. I laminated it with clear contact paper so he could then eat the green eggs and ham I made him on it (photo below). I just mixed 2 drops of green food coloring with the egg~ you can also find recipes on the Seussville Website. 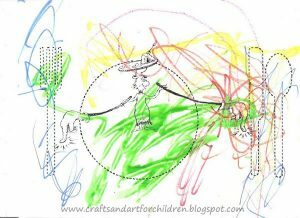 To see more story + art projects, head over to A Mommy’s Adventures. Fun! I also printed those placemats for my kids this week. They&#39;re part of our Art Box for the week. Aww this is so cute. It&#39;s funny we have this book in Spanish and one in English but we can&#39;t find the Spanish copy so right now we have a Spanish copy from the library. We also watch the video online sometimes and my son loves it too! 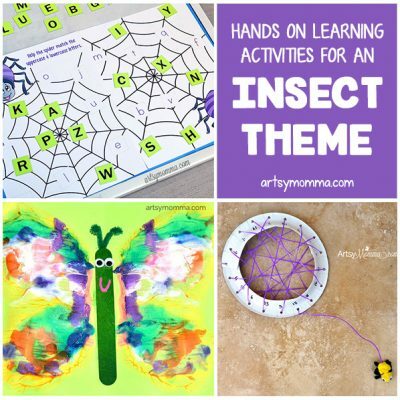 Love your theme idea!! We only have the English version since I won it from another blog. It is one of the only books we have in English but the boys love it. I will have to look for the Spanish version at the library. Did you son eat the green eggs?? This is so cute! Love your ideas! This is great that you got Green Eggs and Ham in two languages. Maybe I should check if there is a Russian translation 🙂 The placemat and green eggs look like a perfect story stretcher too.